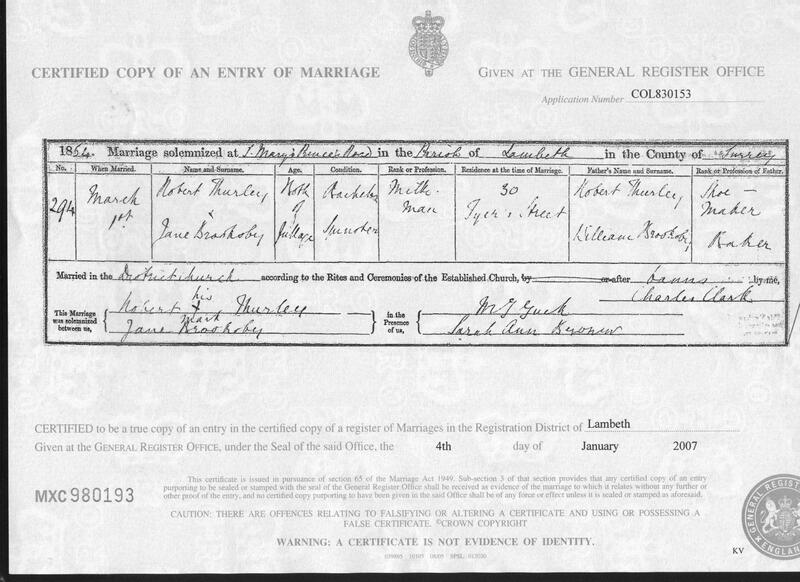 Probate (granted to) Ethel Gertrude Jarvis's probate was granted to xxxxx in 1946. [PE] Four sons of Robert Aldous Thurley and Jane Brooksby. 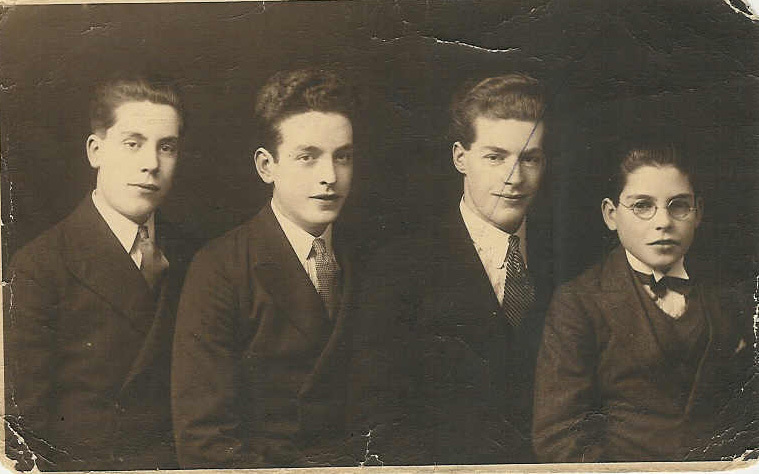 From left to right is Frederick, Albert, Robert and Jack. Criminal Frederick Thurley was was charged on a warrant for violently assaulting Police-constable Nunn, 344 W, with a whip. on 15 March 1890. Member of household Robert Aldous Thurley appeared in the 1841 census in Newington, Surrey, EnglandBG. Son He appeared as the son of Robert Aldous Thurley in the 1851 English Census in Newington, Surrey, EnglandBG. Address As of on 28 September 1892, Robert Aldous Thurley lived at. Death He died in 1917 at age ~76 in London, EnglandBG. Occupation Richard Anderson was a Decorator (occupation lister on daughter's wedding certificate). Chr She was christened on 8 December 1837 in St Leonards, Deal, Kent, EnglandBG. Death She died in 1917 in London, EnglandBG. Birth He was born about 1875 in Brixton, London, EnglandBG. Death He died in January 1883 at age ~3 in Lambeth, London, United KingdomBG.